Product categories of Wire Mesh Products, we are specialized manufacturers from China, Wire Mesh, Steel Mesh suppliers/factory, wholesale high-quality products of Woven Wire Mesh R & D and manufacturing, we have the perfect after-sales service and technical support. Look forward to your cooperation! 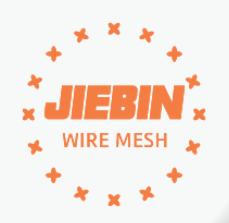 Hebei JIEBIN Wire Mesh Products Co., is a R&D and manufacturing of kinds of Metal Wire mesh products in Anping. Our have Stainless Steel Wire Mesh, Welding Mesh(Rolls/Panels), Chain Link Fence, Hexagonal Wire Netting, BBQ Wire Netting, Plain Weave Wire Mesh etc. We hope to cooperate with more customers for mutual development and benefits. Welcome potential buyers to contact us.